Different booking times are possible. Ask me for your own special offer. The price includes a get-to-know eachother afternoon as we arrange. After the deposit / transfer of 50% of the selected tariff, the booking is made. The balance is due upon pick-up of the child in cash. If the scheduled transaction cancelled, the deposit will not be refunded. Instead, you have the option to rebook for another date. There is a sibling discount available- please ask me. Vouchers: “just so”, “Mother’s Day”, “because I love you” or you can you determine the title, are also available. 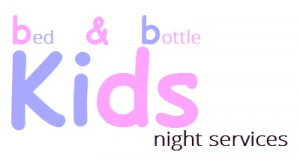 For an additional cost I am happy to organise a special evening for you, for example reservations at a restaurant or spa alongside the care of your child(ren). Upon arrival I can provide you with the entire package. Similarly, I can arrange a package cost for a reservation and childcare combined. Once payment is recieved I can pass on vouchers/necessary documentation.